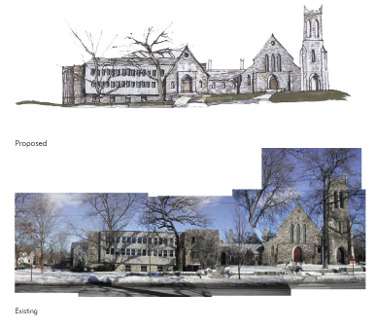 Several similar master planning projects were also analyzed for opportunities that could be implemented throughout the Christ Church master planning process. These particular projects were chosen for their relevance in their approaches to historic church additions, landscape and architectural character, as well as master planning processes. - Additions are meant to be complementary extensions, not appendages.